Circlify – Tips and tricks to help you get a top score! This article is going to discuss some key strategies on how to succeed playing our newest app – Circlify. 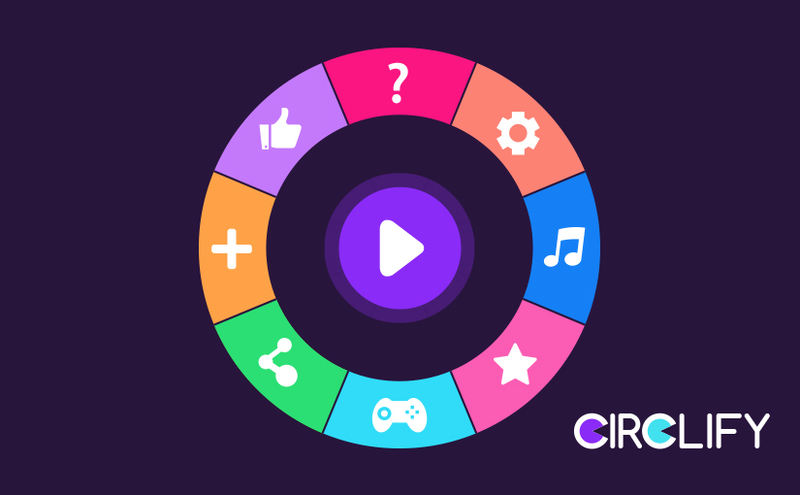 If you haven’t yet played Circify, but need information about the goal of the game and basic information, we’d suggest checking out our tips for beginners. If you’re familiar with the concept and played more than a handful of times, you’re in the right place! As you know, Circlify is all about timing; you need to tap when your torch shines on an opening in the inner circle. The more successful taps, the higher your score! While it might be described as a simple game, there are many different techniques when it comes to playingCirclify. For some, holding the phone in one’s left hand and tapping with the right index finger is the best method. For others, a conventional two-handed phone-holding stance is preferred with the thumbs being responsible for tapping. Find a playing style that feels right for you. You’ll notice that early on, your game frequently ends when you panic and tap more quickly than your skill level is ready for. This is particularly the case straight after you’ve successfully tapped a circle away and a new circle opens up. When you feel your game slipping away and you’re dealing with 4-5 circles, it’s natural to want to play faster, but this isn’t always the best option. Take your time in the early levels – up to about level 40-50, patience and accuracy is the key to the game rather than speed. This is closely related to the point above – no matter how big the circle maze is around you or how small your torch is, a successful tap will always bring it back to the same size. This means that no matter how dire your situation seems, you can always get back into the game, which further suggests that taking your time (within reason) is a winning strategy. This might sound silly, but the music playing while you play can help you get into a good rhythm, particularly if you’re a beginner and still getting accustomed to the pace of the game. The beat is constant and given the role that timing plays in Circlify, it can be a good way to match up your taps with the movement and rotation of the inner circles. So don’t be so quick to put your phone on silent! This is quite handy in higher levels. Often when you make a mistake, you can, in a funny sort of way, feel yourself doing without the ability to stop yourself. Luckily, there is a way to catch yourself in some instances and that is to simply hold your finger down on the screen. If you go to tap and then realise you’ve mistimed, just don’t release until the opening in the circle comes back around. Like most addictive, score-based apps, Circlify can be both rewarding and frustrating within a very short time. Remember to challenge yourself and look to get the best score you can, but try to keep your cool when things don’t go your way and enjoy yourself! If you do manage to get a big score, we want to hear about it! Feel free to post the screenshot to our Facebook page and let the other players around the world know that your are the real deal.